Increasing comfort, safety and compassion for each patient; every case. For many orthopedic, gynecologic and general surgery procedures regional or neuraxial anesthesia may improve postoperative pain control or prevent the need for general anesthesia. Regional anesthesia is most often performed using ultrasound guidance to place medication around a particular nerve responsible for pain in a specific region of the body. Neuraxial anesthesia includes both spinal blocks and epidural catheter placement and offers pain control below a particular level of the spinal cord. The physician anesthesiologists employed by GAS are trained and experienced in these techniques and may offer them to you to enhance your pain management or to mitigate other medical risk factors. These techniques are employed with the knowledge and communication with the surgery team. Cardiovascular Anesthesia: Guardian Anesthesia Services employs two fellowship trained cardiovascular anesthesiologists who are also board certified in transesophageal echocardiography. The cardiovascular anesthesia team is prepared to handle the most complex cases including coronary artery bypass grafting, heart valve replacement and repairs, and ascending aortic arch repairs as well as complex vascular and thoracic cases. In addition to our cardiac trained anesthesiologists, the team includes nurse anesthetists who have undergone training with emphasis in cardiothoracic anesthesia. The entire team focuses on the patient and prides themselves on relationships and communication with our cardiothoracic surgery colleagues. 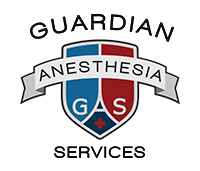 At Clearlake Regional Medical Center and Pearland Medical Center, Guardian Anesthesia Services provides 24hr/day obstetrical anesthesia care. Each of our providers are experienced in spinals, epidurals, and general anesthesia in the obstetric patient. If our services are requested, we will do our best for each patient to have excellent pain control both during delivery and post-partum. Should the patient require a C-section, we are committed to patient centered C-section and if possible, including your support members in the birth. Every patient has different goals with their birth experience. Please share with us your questions and concerns. With you, we will develop a plan that is safe for you and your baby. Each nurse anesthetist employed by GAS is trained in the management of the obstetrical patient. The nurse anesthetist is particularly involved in the care of C-section patients and in the anesthesia assessment and will help provide comforting and informative information to patients and their families. The smallest of our patients are cared for by our two fellowship trained pediatric anesthesiologists. Our pediatric expertise covers an expansive depth of surgical procedures including pediatric general surgery, urology, ENT, pediatric neurosurgery, gastroenterology, and orthopedics. When appropriate, we offer neuraxial and regional anesthetic techniques in our pediatric patients. While based at CLRMC and covering the level 3 NICU at that facility our pediatric anesthesiologists also service Bay Area Surgery Center as well Gramercy Outpatient Surgery Center. 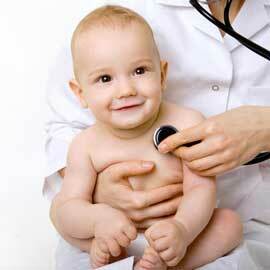 Our pediatric team is dedicated to patient comfort and communication with family. 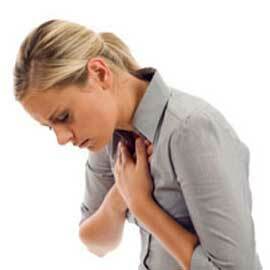 If your little one is nervous, they may be offered premedication to ease their nerves. 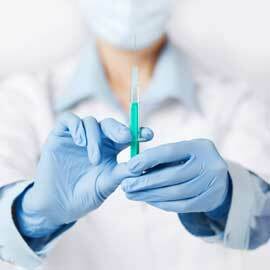 In many cases and elective procedures, we are able to begin anesthesia without any shots or needles. As always, the anesthesia plan is the responsibility of the physician anesthesiologist in order to provide the safest care for your child. If appropriate, these options may be offered as part of that plan. Nurse Anesthetists with training emphasis in pediatric anesthesia are an integral part of our pediatric anesthesia team. © 2019 Guardian Anesthesia Services, PLLC . All rights reserved.